Among the host of choices on the Google Web Store for iOS and Android users, WeVideo is a free program for uploading, editing, and sharing videos. 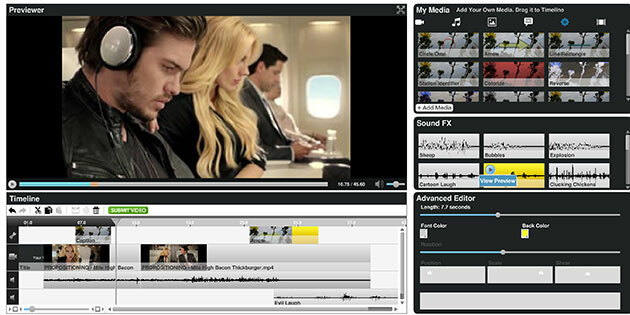 WeVideo combines the simplicity of Videolicious with the sharing capacity of Google Docs. For a traditional print journalism program, it’s a simple solution to the huge undertaking of implementing broadcast practices not only into your curriculum but also into your newspaper staff’s routines. From start to finish on my first try, it took me about an hour to install the app, begin a new project, upload currently existing media, edit, apply a theme/music (which, like my students, took the most time), export, and post to Facebook. Themes and music are not interchangeable, but real journalists don’t want this in the long-run anyway. Ease of use for beginner videographers is key here. Some of my training time with the app included a first attempt on my iPhone (wouldn’t sync with the server), and then moving the training operation (seamlessly I might add) to my Chromebook. Moreover, that first hour of self-introduction to the app was also used to establish connections to my various social media accounts. What I like about this “free” app is its potential in the classroom. 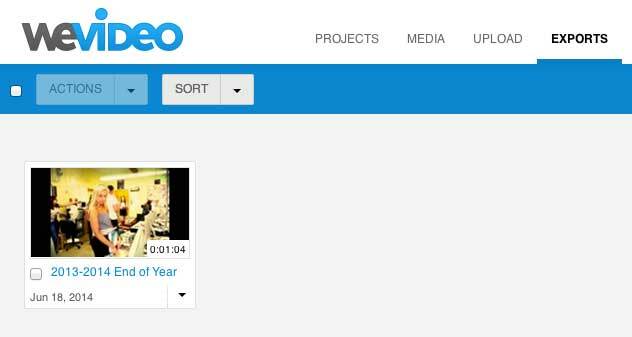 Like Google Docs, projects on WeVideo can be built and shared in a collaborative environment. Reviews of the app ranged from 1 (ech!) to 5 (bravo! ), and not much in between. It’s a program people seem to either love or hate. The naysayers complain about various program limitations and price–although it’s free to upload into the program’s library, it’s not exactly free to export and share. It’s $4.99 monthly or $36 annually for more storage and export time. For beginning entry into video, however, a low bar for incorporating video into publication without a huge learning curve encourages me. It’s definitely classroom lesson worthy, and students with Google log-ins need only download the free app to experiment with video editing. I used still photos of my newspaper staff’s end-of-year party in my trial because I had them. Before I walked away from my first exposure to the program, I had a photo gallery post on Facebook to show for it. WeVideo isn’t perfect, and, although tutorials are available for people who would categorize themselves as pros, I don’t foresee any pro users flocking to it. However, I do think it can work as training wheels for newbies in video production. Your staff has a Facebook and Twitter, now take a look at adding a Tumblr.